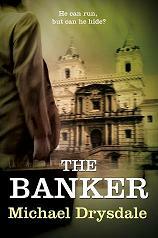 I’ve offered 2 copies of The Banker as a Goodreads giveaway. Goodreads members have until 29 February 2012 to register an interest. Goodreads will then pick the 2 winners and I wll send them a free signed paperback copy. Remember there is also a competition I’m running for a free copy of The Banker. This is open to everybody and closes on the 6th March 2012. See my blog entry of 6th Feb for details.